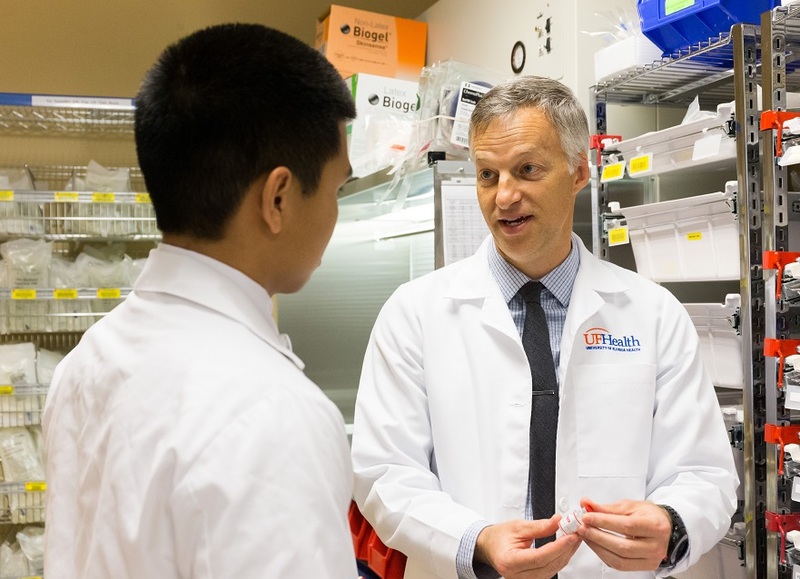 U.S. News & World Report ranks the University of Florida College of Pharmacy as the #1 pharmacy college in Florida and among the Top 10 pharmacy colleges in the nation. These rankings reflect our commitment to excellence, which is demonstrated through our high-quality education, impactful research and innovative clinical care programs. We are training students in our Doctor of Pharmacy program to be leaders in pharmacy practice and science, and you can be assured as a UF College of Pharmacy graduate that your education reflects our top-tier rankings. Our innovative curriculum focuses on team-based, patient-centered care that prepares graduates to practice in an evolving environment where the pharmacist is a collaborative team member committed to improving patient care. The curriculum features case-based learning, skills labs and interprofessional activities to empower students to be caring medication therapy experts. We provide a strong educational foundation in the biomedical, pharmaceutical, social and administrative and clinical sciences. In addition, our curriculum focuses on professional development, experiential learning and meeting milestones relevant to current industry and workforce needs. With state-of-the-art interactive classrooms on all three campuses to connect pharmacy students with their professors and peers, we are taking learning via videoconferencing to an all new level. 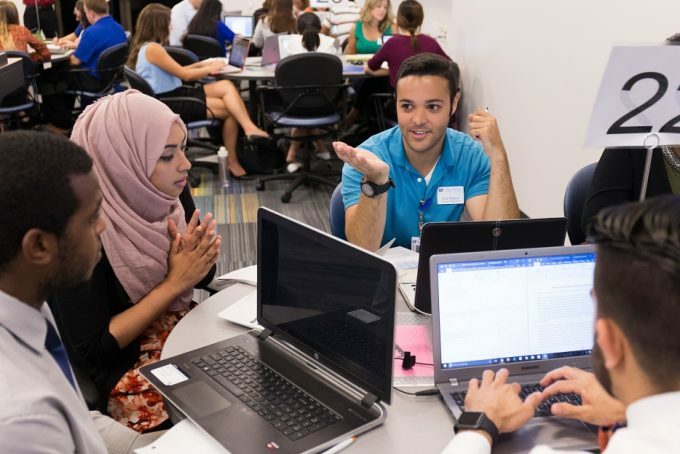 Faculty based in Gainesville, Jacksonville and Orlando simultaneously deliver instruction across all the campuses, and students enjoy an environment that supports team-based learning. Securing a pharmacy residency position after graduation is a highly competitive process. For three consecutive years (2016-18), the University of Florida has ranked No. 1 in the nation in the total number of students matching into a pharmacy residency program. Thanks to a rigorous curriculum that focuses on patient-centered care, UF pharmacy graduates are among the most sought after candidates for pharmacy residency programs in the nation. While the majority of UF College of Pharmacy students choose to pursue residencies in the state of Florida, others choose locations from coast to coast. 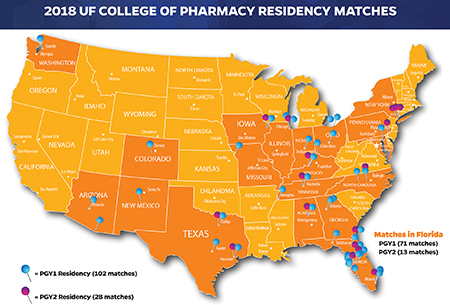 In 2018, UF pharmacy students matched at hospitals and health care facilities in 19 states. The UF College of Pharmacy is part of UF Health, the Southeast’s most comprehensive academic health center. Home to six academic colleges, along with hospitals and health care partnerships throughout the state of Florida, our footprint in providing world-class health care is far reaching. UF Health’s vision as a preeminent academic health center is to take advantage of our collective expertise to improve patient care, education, discovery and the health of the community. UF Pharmacy students play a vital role in making this a reality. We prepare our graduates to work in an interprofessional, team-based environment that focuses on patient care. Pharmacy students at all three campuses have the opportunity to work closely with students in other health disciplines to gain a more holistic view of health care. 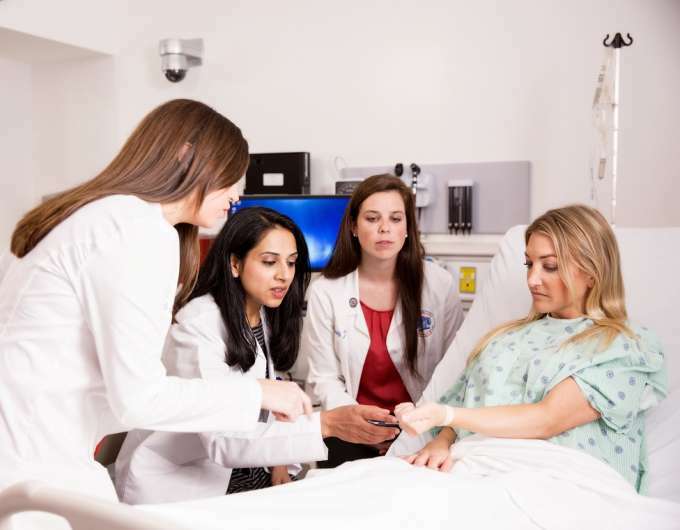 In addition, the proximity of each campus to major medical facilities and hospitals, including UF Health Shands Hospital in Gainesville, UF Health Jacksonville and the neighboring hospitals to our Orlando campus, creates unparalleled experiences in pharmacy education. 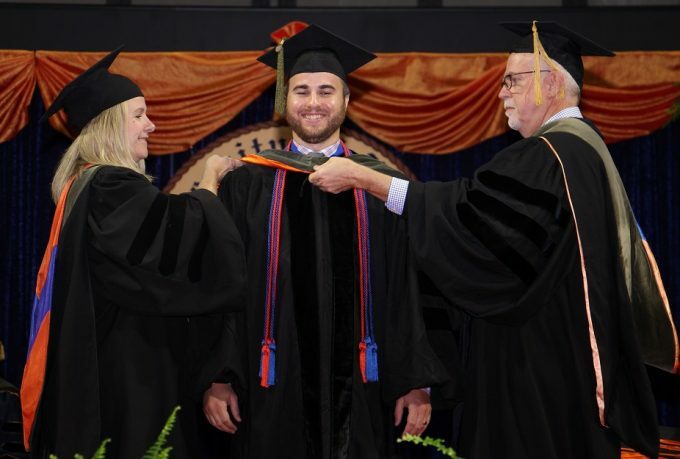 When you enroll in the UF College of Pharmacy, you are joining an exclusive network of alumni and friends of the college who stand ready to support you in every step of your career. With more than 12,500 living alumni in all 50 states and 41 countries, you are bound to cross paths with a Gator pharmacists wherever you go. Our alumni are incredibly supportive of our students through scholarship gifts, career networking and volunteering. Go Gators!